This car seat is awesome! Fits well in our Mini Cooper Countryman. My 13 month old son loves the space as he was getting a little too cramped in his Doona. So glad we went with this as it will eventually turn into his booster. Our car was recently stolen and we couldnâ€™t haul the grandbabies until new seats were purchased. 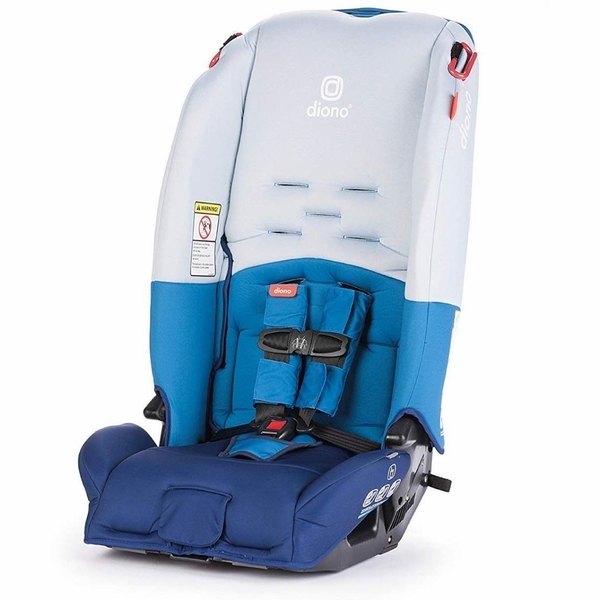 After many hours of researching which seat out there rated high in safety, comfort, child growth adaptability and being easy to put in and take out we tried two of these. I really like the fact that this company considered what the force of a head on impact could do to a childâ€™s neck and included a strap that gradually lengthens to absorb some of the force. 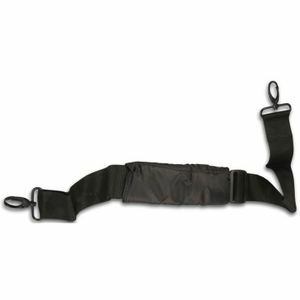 There is a solid strap option once the child gets to a certain weight. 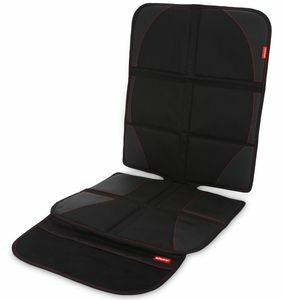 The chest strap padding is very nice and both children say they are comfortable. Another feature we like is the audible click SuperLatch system. Itâ€™s easy to tell when they are latched and a major upgrade over the standard buckles on most car seats. When taking the seats out there no digging around in the seat crack trying to get the buckles off the anchors, you just push a button and theyâ€™re released. These seats were more expensive than any weâ€™ve purchased in the past but when you think about whatâ€™s going to be in the seat during an accident price means nothing. After seeing how well they are built and how they compare to the average chain store plastic car seat we couldnâ€™t stand the thought of the children being in their usual seats. We purchased two more for their mothers vehicle. I recently purchased two of these for our twins. 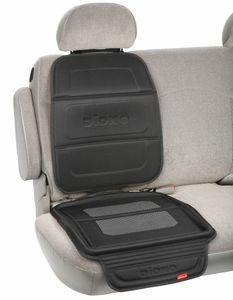 We have used Diono in the past and love the updated back cover that keeps everything smooth and covered especially for our rear facing seats. 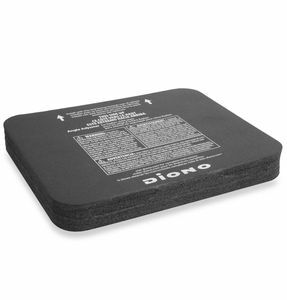 We love how thin the dionos are and they work great in our minivan. 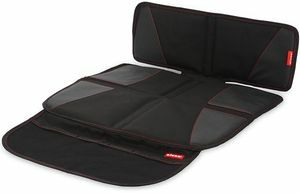 This is a wonderful car seat and a god-send for those of us with 3 young children. I can fit 3-across even in the back of a Honda Fit. 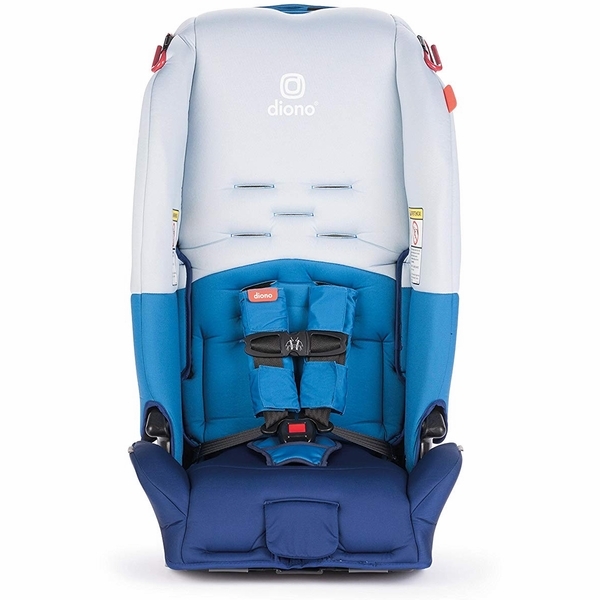 The fact that this is the only car seat my child will ever need, from rear-facing infant all the way through elementary age child in need of a boost is wonderful. 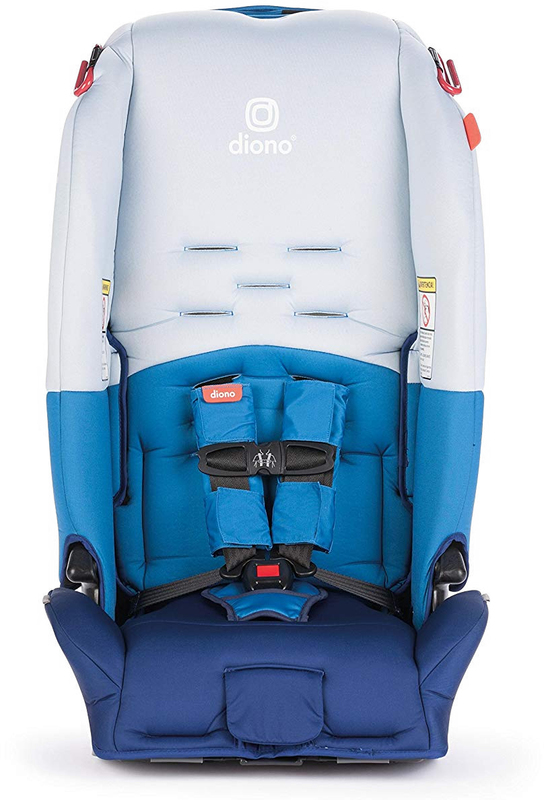 The only thing could be better is that, like most car seats, the angle of the buckle for the latch connectors is such that it is a challenge to really tighten it as much as is needed. I am a big and strong man and I struggle to get it tight. Perfect car seat, It is narrow enoug to fit three car seats in a row and still be big enough for my son to fit it. He loves it and the color. 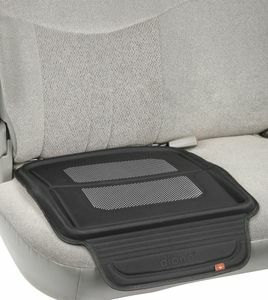 I read an article (https://mommyhood101.com/fitting-three-car-seats-in-the-back) which ended up being a HUGE lifesaver. 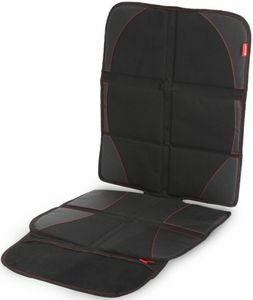 I found these car seats and used a coupon code for 20% off each one, which was a significant savings. Best of all, they are heavy duty, my kiddos like them (they don't have the wrap around head piece that obstructs vision) and they fit side by side, leaving room for the infant car seat on the end. My only "con" so far is that the 5 point harness is a little difficult to tighten just right but some of that could just be because I'm 38 weeks pregnant and it's hard to get the leverage to pull. Overall, I'm totally satisfied with the purchase and am so relieved I didn't have to get a new vehicle but can still rest assured knowing my kiddos are safe. This car seat will be much easier to switch between our vehicles (grandparents) because the seat belt fits through the back instead of it having a back tether. It still fits very tight inside the car. 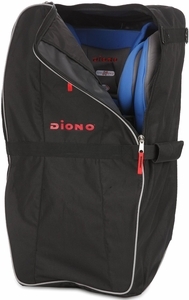 We are very excited about this car seat and like it better than our Diono RXT. It looks sleeker and like it will be more comfortable for the grandchildren. 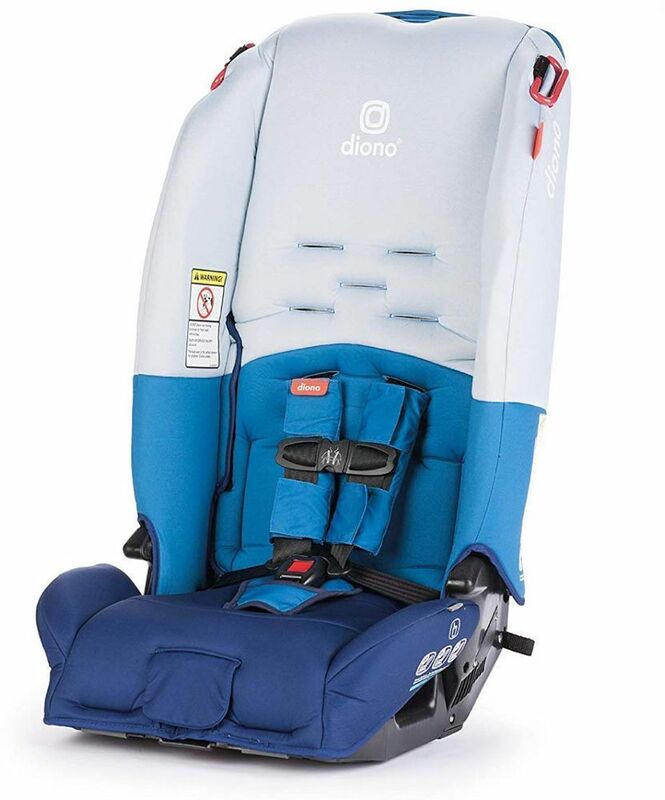 Your child’s security is Diono's top priority. The Radian 3R was engineered with premium, innovative features like a steel alloy frame, aluminum reinforced sidewalls, energy absorbing EPS foam and a reinforced adjustable head support to keep your little one protected and comfortable. Some say three’s a crowd. We say, the more the merrier! The radian® 3R car seats fit 3-across in most mid-size vehicles. Accommodates forward-facing children up to 65 pounds in a 5-point harness and converts to booster mode for kids 50-100 pounds. 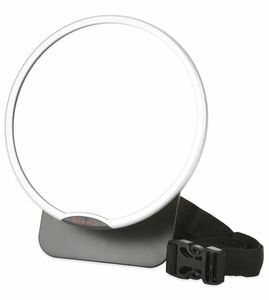 The aluminum reinforced, adjustable head support and sidewalls provide additional side impact protection. Joy of the journey: From birth, keep your little one rear-facing longer to 40 lbs, traveling safely. As they grow to 100 lbs (10 years approx.) our long-range lifespan protects your child facing forwards. Peace of mind for you, we’ve thought of everything so you don’t have to. Lovingly engineered: The radian® 3 r is fabricated using super strong automotive high strength steel, engineered into a dual spine. 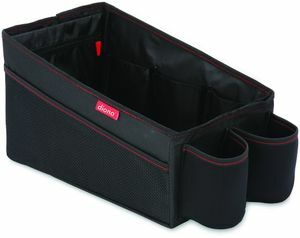 This unique core manages and dissipates energy and provides an unyielding structure to protect your baby. Our audible click SuperLatch system makes installation easy and quick. Three’s not a crowd: For safety that fits 3 across the radian® 3 r packs all our innovative safety features into a sleek and slim design that allows you to fit three across (in most mid-size vehicles). Now the whole family can travel, together. Business Class comfort: Inspired by the best European fashions, our radian® 3 r has bright soft fabric covers and a memory foam seat bottom. 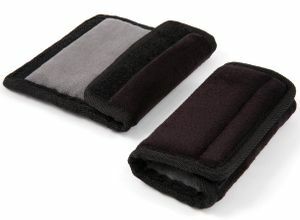 Lined with energy absorbing foam, comfort and safety go hand in hand.